Bauer Vapor X700 Shin Guard | Sports Etc. 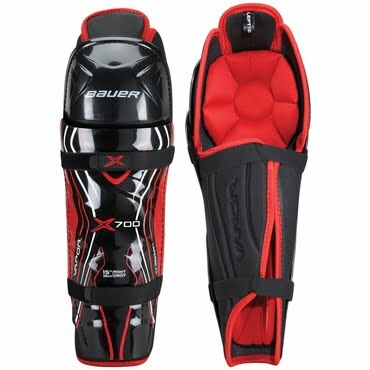 The Bauer X700 contains mid-density foam throughout the knee and calf area, which provides a comfortable fit and a solid level of protection. A tapered fit and free flex cap for ultimate mobility on the ice. Hydrophobic mesh liner for breathability. Sports Etc Performance To Value Rating– 8 out of 10. A good value shin pad. Protective enough for a mid-level, checking league or below.